SASW Speakers’ Series – 1848: Slovaks between Imperial Vienna and Antagonistic Budapest – Saturday, October 20th – Slovak American Society of Washington D.C.
Lajos Kossuth, the Kingdom of Hungary’s politician born to a Slovak nobleman father and a German mother, wrote in 1842 that wherever he looked in the kingdom, he saw no Slovak nationality, no Slovak nation. In 1851, he was applauded in the U.S. Congress as an anti-feudal democrat. How could he and, indirectly, American Congressmen proud of their country as a lone beacon of democracy in the world at that time, have been so wrong? What did it mean for the Slovaks to be a nation, and what options did they face during Central Europe’s “Civil War” in the mid-19th century. 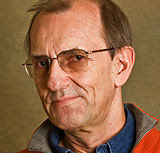 Martin Votruba, PhD, has been Director of the Slovak Studies Program at the University of Pittsburgh for close to three decades, the only such academic program in the Western Hemisphere. It has received an award from the American Association of Teachers of Slavic and East European Languages for “Excellence in Teaching (Post-Secondary)” and close to a dozen other awards. Partly based on queries from the Slovak-American community, he also maintains the Slovak Studies Program website with information about Slovak-related topics, with over 70,000 annual page loads by world-wide visitors www.pitt.edu/~votruba, and a Slovak-American online discussion group www.TinyURL.com/SlovakSpot. This entry was posted in Events, Speakers and tagged 1848, Hungary, Kossuth, Slovakia.